After FX's 10-hour dramatization "The People v. O.J. Simpson: American Crime Story," one might think there's little left to say about the "trial of the century." "O.J. : Made in America," ESPN's five-part, almost-eight-hour documentary (10 with commercials), proves that wrong, and then some. "O.J. : Made in America" is more than just a rehash of the trial or Simpson's football exploits. Edelman explores the history between Los Angeles' African-American community and the police department -- described as "an occupying force" under chiefs Bill Parker and Daryl Gates -- that figured so prominently in Simpson's acquittal. That history lesson includes the conditions that led to the Watts Riots in 1965; the 1979 police shooting of Eula Love, triggered by an overdue gas bill; and acquittals in the high-profile cases of a store owner who killed black teenager Latasha Harlins, and white police officers videotaped beating motorist Rodney King. The expansive format does allow Edelman to provide abundant coverage of Simpson's football career -- both at USC and in the pros -- and how he traded off that celebrity to become one of America's most popular commercial pitchmen. Indeed, Simpson prided himself on transcending color, so much so that when a white woman used a racial epithet in front of him, he took pride in noting that she felt free to do it because she didn't see him as black. Simpson conspicuously avoided discussions of race, even when fellow athletes spoke out about it. Sociologist/activist Harry Edwards recalls him saying, "I'm not black. I'm O.J." "His Horatio Alger story was based on him being a pleasing person to white people," journalist Robert Lipsyte notes, describing Simpson's closest friends as "super-wealthy, powerful white men." All that changed after Simpson was accused of murdering his ex-wife, Nicole, and Ronald Goldman. And the documentary's later chapters, devoted to the trial and its aftermath, are every bit as riveting as one might expect. 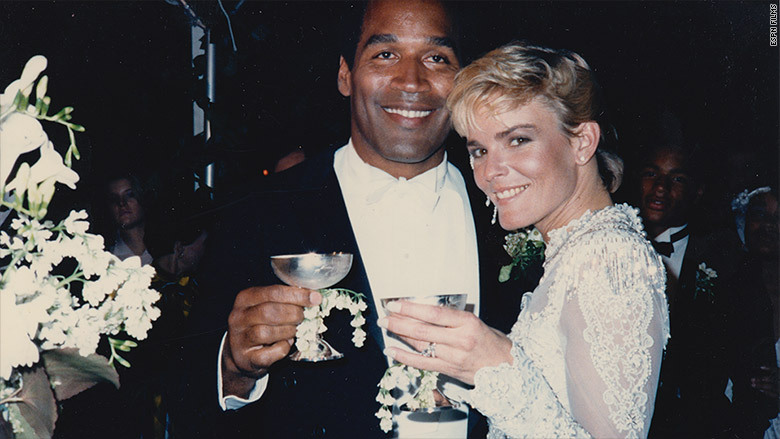 The documentary traces the beginnings and toxic arc of O.J. and Nicole's relationship (complete with 911 calls related to domestic abuse), and weaves in fascinating material like recordings of strategizing sessions during the trial. In the midst of jury selection, Simpson says, "The system has forced me to look at things racially." 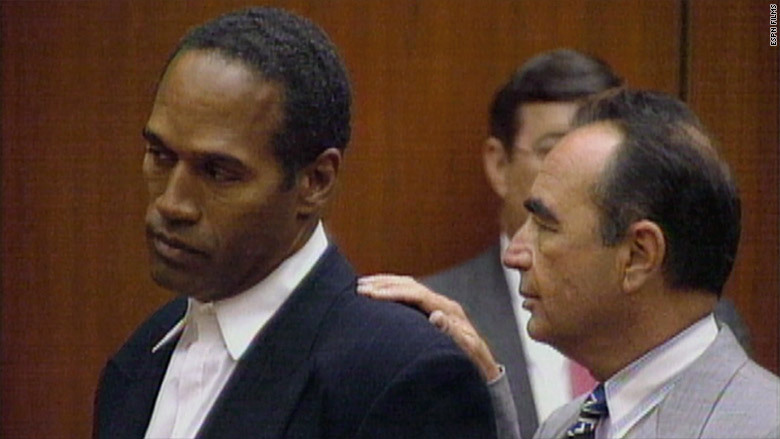 The trial raised a number of other issues, including the effects of cameras in the courtroom; whether the victims' race played a role in the media's coverage; and the unequal justice that Simpson's wealth and legal "dream team" provided him. Unlike the FX miniseries, "Made in America" delves into the trial's aftermath, including the civil judgment against Simpson by Goldman's family, and his life as a pariah among the elites with whom he had hobnobbed. Additional tidbits range from Simpson financing his defense by signing and selling memorabilia to remarkable video of O.J. 's post-trial celebration party. ESPN's "30 for 30" documentaries have long been a bright spot on the network. Yet even held up to that yardstick, "O.J. : Made in America" feels like a master class on the nexus of race, sports, media and politics. In that sense, even those who watched "People v. O.J." will have plenty to think about viewing this sort-of companion piece, which tackles a lot more than one football star's guilt or innocence. "O.J. : Made in America" is playing in selected theaters. It premiers June 11 on ABC, and June 14 on ESPN.